Kidnapping is considered a crime of violence and has significant penalties. If you have been charged with kidnapping, you should speak with an experienced criminal defense attorney at your earliest opportunity to learn about your rights and the defenses that may be available to you. 1) Hold for ransom or reward or as a shield or hostage. 2) Commit or facilitate commission of any felony. 3) Inflict bodily harm upon or to terrorize the victim or another person. 4) Interfere with the performance of any governmental or political function. It is also kidnapping to confine a child under the age of 13 against her or his will if such confinement is without the consent of her or his parent or legal guardian. it is a life felony. If you or a loved one has been charged with kidnapping, speak with an Orlando criminal attorney. In many kidnapping cases, a properly prepared defense by a criminal lawyer will result in either reduced penalties, reduced charges, or a dismissal of the charges. Even in kidnapping cases where the evidence of guilt is overwhelming, a properly prepared defense and presentation of mitigating circumstances by an Orlando criminal attorney can result in significant decreases in the penalties you receive. 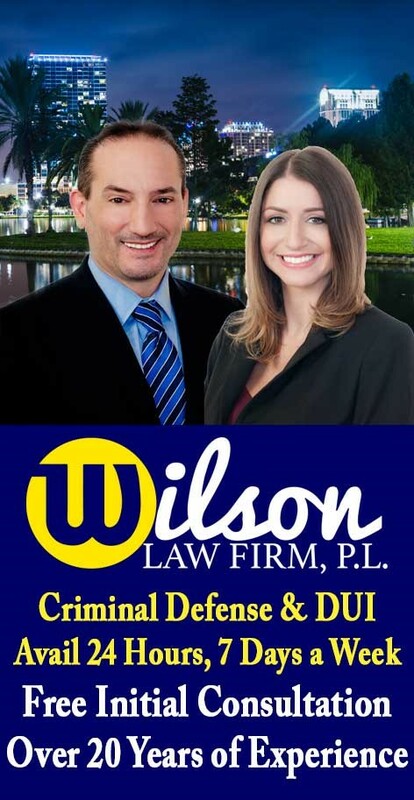 Kidnapping Crimes – The Wilson Law Firm provides a free initial consultation with an experienced Orlando criminal attorney. Call us today to speak with an Orange County criminal lawyer about the legal process and your rights.